In October of 2011, Google began testing Dynamic Search Ads (DSA) in AdWords. It was a bold move and signaled a change in how paid search could operate in the future. Using dynamic search ads, advertisers could greatly expand their reach by enabling AdWords to match queries with content in Google’s organic index. Instead of simply setting up keyword-based campaigns, you could dynamically provide relevant ads to users searching for content residing on your site. 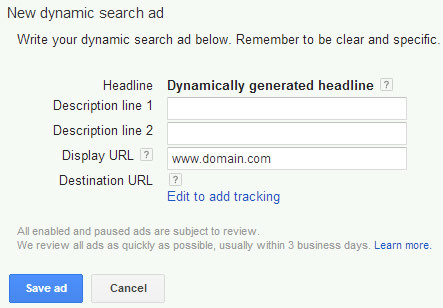 Last week AdWords released Dynamic Search Ads to all users, so now everyone can expand their reach using DSA’s. But before you run and set up your campaigns, there’s a catch you need to be aware of. Your content must be indexed in Google’s organic search index in order for it to be eligible for dynamic search ads. Yes, your SEO just impacted your SEM, and that’s what my post is about today. Read on. 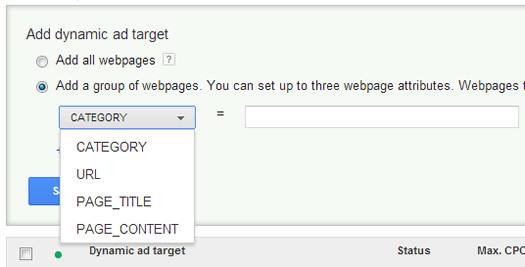 Targeting-wise, you can set up dynamic ad targets based on the content that’s been indexed on your site. For example, you can target all webpages on your site, categories of content, pages by URL, content by page title, or simply by content residing on a page. Depending on the dynamic ad targets you set up, AdWords will match up queries with your content that’s been indexed. I bolded those last few words, since thorough indexation can be a big problem for some companies. More on that soon. Yes, it’s paid search less the keywords. As you can imagine, this can have a major impact on how paid search is managed, optimized, and enhanced by AdWords advertisers. But more importantly, now technical SEO issues can negatively impact your DSA’s, since they leverage Google’s organic search index. That’s a good segue to the next section of my post. As I mentioned earlier, in order for dynamic search ads to work, your content needs to be indexed. Although that sounds trivial, it’s not for some companies. And that’s especially true for large-scale sites with hundreds of thousands of pages (or more). And if you add CMS problems to the mix, a site could very well have tens of thousands of pages not getting indexed properly. And that could be a serious problem for advertisers trying to leverage DSA’s to expand their reach. If your site has a crawlability problem, or other technical SEO problems, then those problems can now affect your SEM campaigns. In addition, if your competitors don’t have those SEO problems, then they are at a big advantage with regard to dynamic search ads. If they set up their DSA campaigns intelligently, then they can potentially reach a much wider audience than you can, since they have a much deeper set of content indexed. Did you just start to sweat? Right, the holidays are just around the corner… That’s perfect timing for some companies to boost sales, while others with technical SEO problems falter. In the past, SEM was separate from SEO. But now, SEO has crept into SEM. Let’s take a look at some problems that could cause issues with your DSA campaigns. First, your content needs to be crawled and indexed. I never thought I would be saying that in an SEM-focused post, but there’s a first for everything. 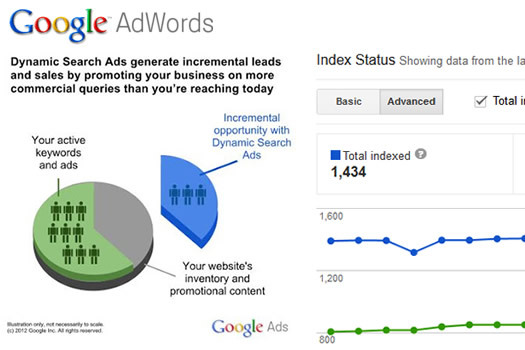 :) If your content cannot be easily crawled and indexed, you will be at a major disadvantage with dynamic search ads. Again, AdWords will leverage Google’s organic search index to match content and queries, and then use that content to build dynamic ads. If your content isn’t in the organic index, ads cannot be generated. No DSA’s for you. An important aspect to getting all of your content crawled is having a strong internal linking structure. There are still many sites that don’t provide a robust drilldown into their content using text links. 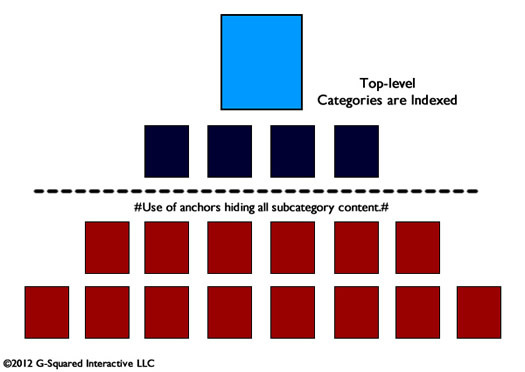 If you simply provide a top-level navigation and don’t provide additional links to deeper content, then you could easily run into a situation where that additional content isn’t crawled or indexed. If that’s the case, then that additional content cannot be used for dynamic search ads. I highly recommend reviewing your navigation and internal linking structure to ensure you are providing a descriptive drilldown into your categories, products, articles, blog posts, etc. In my experience, I’ve witnessed CMS packages hide content, provide serious crawlability issues, and create serious duplicate content problems. And all of this won’t be good for your DSA efforts. If your CMS hides content, then those pages will not be available for DSA’s. If the CMS provides crawlability issues, then it can hide content from Googlebot, which means the content can’t be included in DSA campaigns. And if your CMS generates massive duplicate content problems, then who knows what AdWords will match up with targeted queries (if it will match up any content at all). Let’s face it, a great CMS can make your life a lot easier. But a poor CMS can wreak havoc on both your SEO and SEM efforts. And now with dynamic search ads, you can combine the two… I highly recommend having your CMS audited to ensure it’s not hampering your search campaigns. I provide more recommendations later in the post. 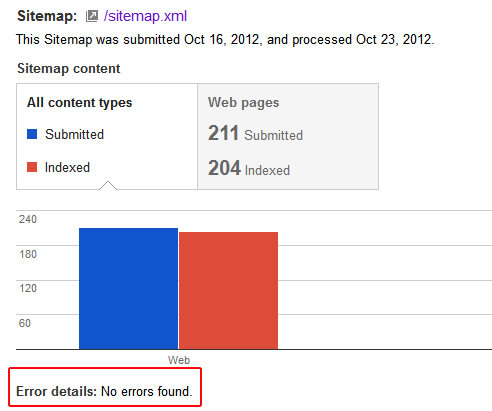 During SEO audits, I still find sites that aren’t providing xml sitemaps that contain all of their content. For example, I recently audited a site with 300K+ pages, but its xml sitemaps only contained 10K. XML sitemaps are a great supplement to a traditional web crawl. You don’t want to rely on them for getting all of your content indexed, but they can help Google identify new content and understand the canonical URL’s for your content. 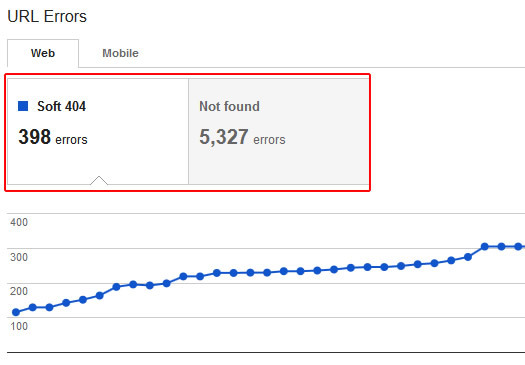 In addition, you can view sitemap errors in Google Webmaster Tools, which can help you understand problems Google is having trying to access or index your content. For dynamic search ads, XML sitemaps can help more of your content get crawled and indexed by Google. And that can help you target more content via DSA’s. Again, you shouldn’t rely on XML sitemaps to fix crawlability and indexation problems, but it’s a smart move to set them up. As mentioned above, you can target content by all web pages, category, URL, page title, or page content. If you want to logically launch DSA’s by URL, then your URL structure needs to be strong. For example, you can target any page with /category/sneakers to target sneakers or /category/boots to target boots. If you have something like /?nid=2343jieejd&sot=23jjdjdj and you are going to try and find some common thread, good luck. Chances are you won’t be able to target by URL. Try and use clean and descriptive URL’s if possible. Stay away from complex URL’s with a lot of querystring parameters. So, if you implemented the canonical URL tag incorrectly across your site, Google may only have a small percentage of your content indexed and available for DSA’s. In a worst case scenario, you could be using the canonical URL tag to attribute all search power to just one page on your site. Don’t laugh, I’ve seen this happen several times. If that’s the case, then you might only have one page available for DSA’s. And you might be looking at your AdWords reporting wondering why there are no impressions or clicks. If you choose to target by page title, then you need to ensure pages are well-optimized. I’ve completed SEO Audits on some larger sites that have thousands of pages with the same exact title tag. If that’s the case, then AdWords might not be able to figure out what the page is about, and might not be able to match the content up with targeted queries. If this is the case, then make sure you uniquely optimize each page, based on the content at hand. If you do, then you can target DSA’s by page title and be in good shape. If you are reading this post and determine that you might have some of the SEO problems I listed above, then here’s what you can do now. First, and this is something I have advocated for a long time, have a technical SEO audit conducted. Audits provide the most bang for your SEO buck. They can be completed relatively quickly and provide a remediation plan based on the findings. If you can implement the changes relatively quickly, then you very well could see some improvements in a short period of time. That obviously depends on your specific situation, but some changes will yield strong results in a short amount of time. And with the holiday season upon us, time is of the essence. If you want dynamic search ads to help you this holiday season, then you need to make sure your content is being indexed, and that it’s optimized correctly. Second, analyze Index Status in Google Webmaster Tools, which can help you identify the number of pages Google has indexed, as well as how many it counts as “not selected”. 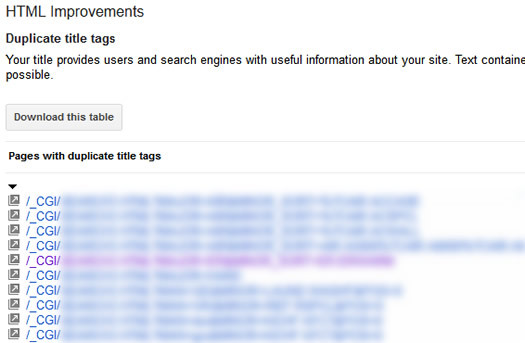 Index Status won’t give you the answers, but can let you know how well your site is being indexed. For example, if you have 10K pages on your site, but only 2K are indexed, you’ve got a problem. If you have 5K pages on your site, but Index Status shows 75K as “not selected”, then you also have a problem. I highly recommend reading my post about Index Status and analyzing your current situation. Third, if you have indexation issues, but still want to gain additional targeted traffic via Paid Search, then you can focus your attention on fleshing out more campaigns and ad groups based on your own category and niche. Perform thorough keyword research, understand which keywords you need to target, analyze the competitive landscape, and then build out more campaigns and ad groups. Sure, this will take a lot of time and effort, but it provides the most control. Summary – The End of Keywords in SEM?